After a long week, Ed and I usually enjoy unwinding with wine and hummus on Friday evenings. We’ll either watch a movie or one of our shows (currently we’re enjoying The Americans on FX). But at the end of March, that changes. Our household is currently in the height of March Madness frenzy. For the unaware, this means NCAA college basketball. In general, I am neither a rabid sports fan nor a gambler, but for a few weeks in March, I become both of those things. College basketball and wine just don’t go together as well as college basketball and beer. And what does beer go with? Wings, of course. Tonight I decided to shake things up a bit and try my hand at Buffalo Hummus. I went into this blindly, but we were both very pleased with how well it turned out. Zippy and rich, but not too heavy. I won’t say this is exactly healthy, but it is definitely more healthy than buffalo chicken wings or dip. Combine all ingredients in food processor until smooth. 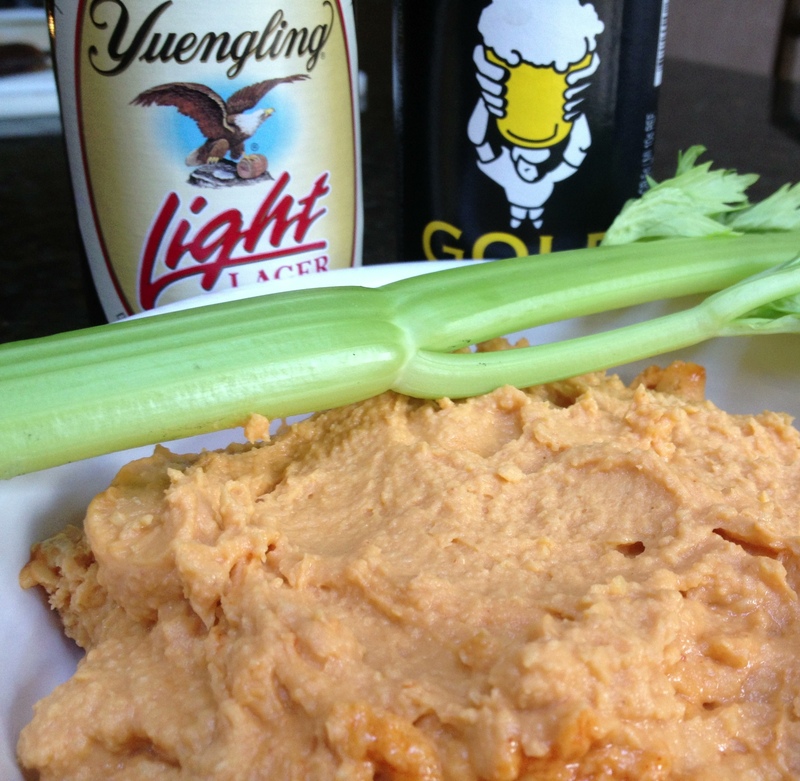 This entry was posted in Appetizers and tagged buffalo hummus, hot wings hummus by Mom Mom's Apron. Bookmark the permalink.